The McKenzie Half Short from ProCorsa features the finest Italian cycling fabrics and chamois for a premium piece of kit that goes all day. Designed in Portland, Oregon, the McKenzie short is named after one of the state's most iconic mountain passes, so it features a 15 panel, flat-lock stitched construction to ensure comfort mile after mile, and one elevation marker after another. The high-end PERFect chamois features a seamless design with ultra high density padding that breathes and holds up as the rides keep piling on. A wide waistband secures the short without discomfort, and at the cuffs, generously sized compression bands provide even pressure distribution for a gentle and luxurious fit. 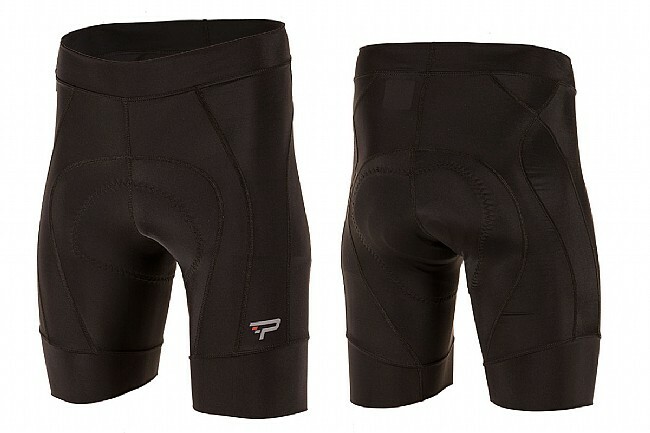 The understated look of the short is exemplified by one small ProCorsa logo on the left thigh that lets the quality and craftsmanship of this garment speak for itself. Purchased at a half-off price, so that certainly helped with the value rating. I prefer half shorts to bibs. Eventually on most rides, the need for a potty break comes along, and bib shorts are just a bother at that point. These are very nice shorts. I normally wear mediums, and if I rode a bit more and shed 5-10 pounds that would be a good thing. That said, the medium fit my 32 waist well. Not too tight (most of the flab is just above the top of the shorts) around the middle. First time I pulled them on, though, my legs felt like they were in compression gear. By the end of that first 2-hour ride, however, all was fine. The chamois is comfortable, well shaped, and basically I didn't notice it. That is a good sign.